Even by the standards of Blue Sky Architecture’s other houses, spectacular site conditions here determined the design of this island home. 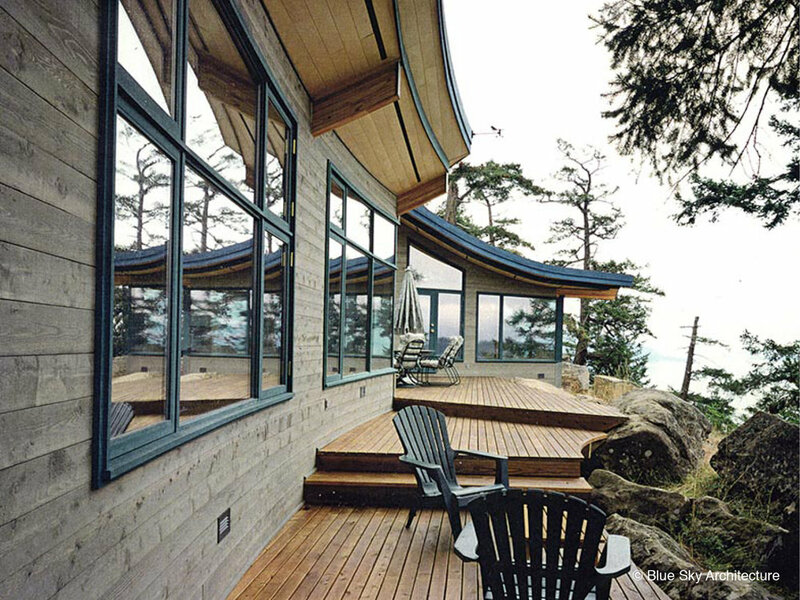 Entered uphill through a 60-acre reserve, the custom residence is perched at the brow of two sandstone ridges, 500 feet above Navy Channel in the Gulf of Georgia, with Pender Island opposite. The site is surrounded by 600-year old craggy fir trees, some splendid, wide-branching red-barked arbutus trees, and two exposed rock ridges running parallel to the view. 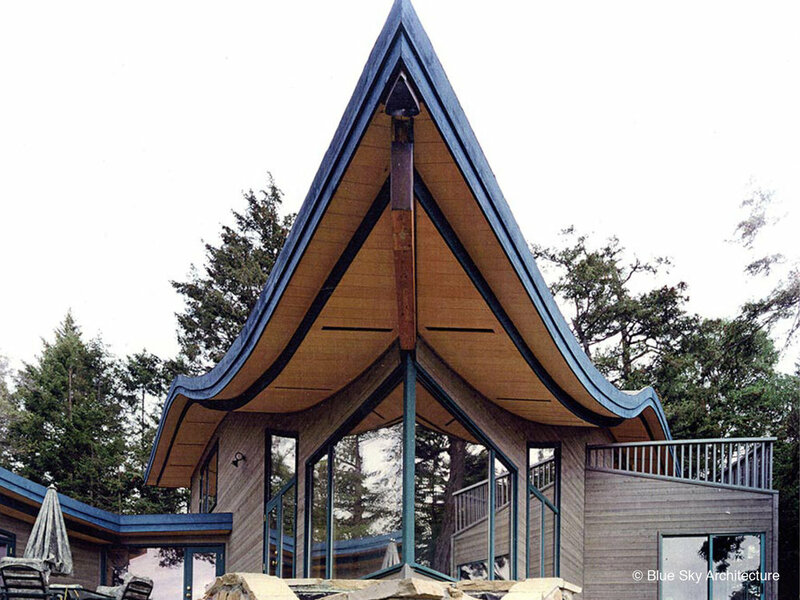 The curving roof provide is derived from a close analysis of the sectional profile of the brow of the hill, and is constructed of pre-manufactured glulam beams. 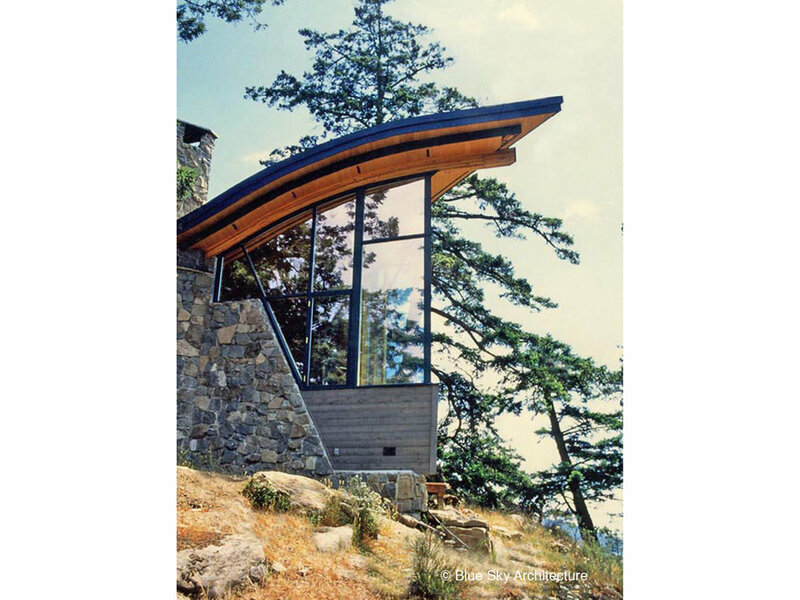 The structural rhythm creates an order in the plan that is otherwise organically derived from responses to site conditions of trees and rock ridges. View and sun coincide to the south and west, and out plan and fenestration approach attempts to capitalize on the oblique views to the surrounding trees and rocks at a fine scale, and up and down Navy Channel at a broader one.